The Stabyhoun is an all-purpose gundog that can point, flush and retrieve from both land and water. They have also held secondary roles as farm guards, draft dogs and mole catchers. The Stabyhoun hails from the district of Friesland in the Netherlands. An ancient breed, their ancestry is unknown, although they are believed to be related to the Drentsche Patrijshond and Small Münsterländer. In the past the Stabyhoun was sometimes crossed with the Wetterhoun, as hunters were only concerned with their working abilities. In the 1940s this outbreeding was forbidden and has sense ceased. 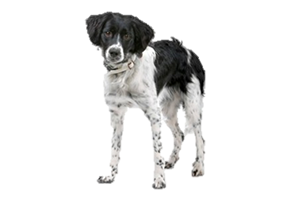 Is the Stabyhoun Right for You?